This collection of vegan truffles makes an ideal gift for friends and family who have decided on a completely animal free lifestyle. They have a delicious taste and beautiful texture exactly like those made with butter and cream! The organic truffles are also free from GM ingredients, colourings and preservatives. 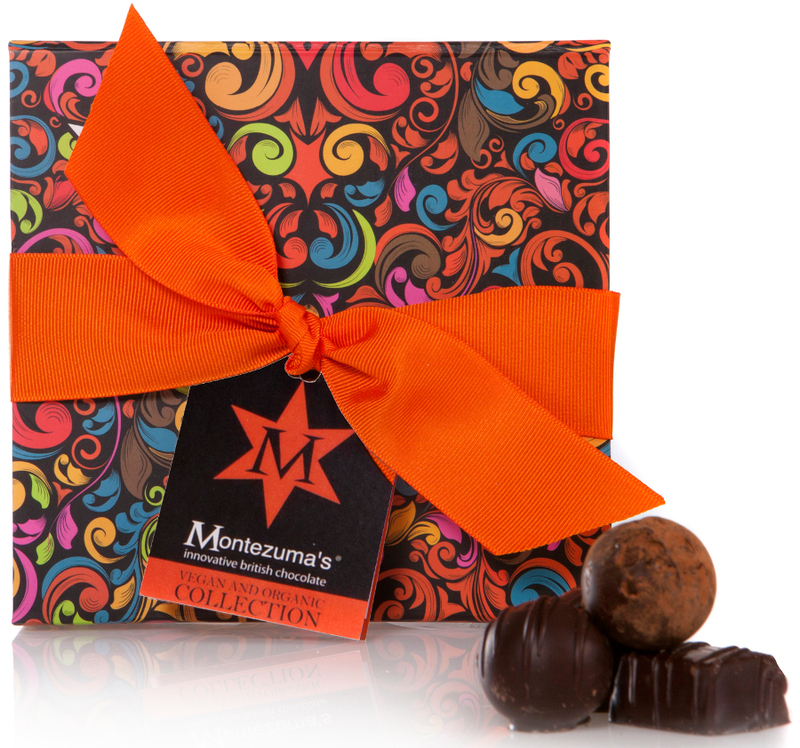 The Montezuma's Vegan Truffle Collection - 200g product ethics are indicated below. To learn more about these product ethics and to see related products, follow the links below. The chocolates were amazing - beautiful dark chocolate! 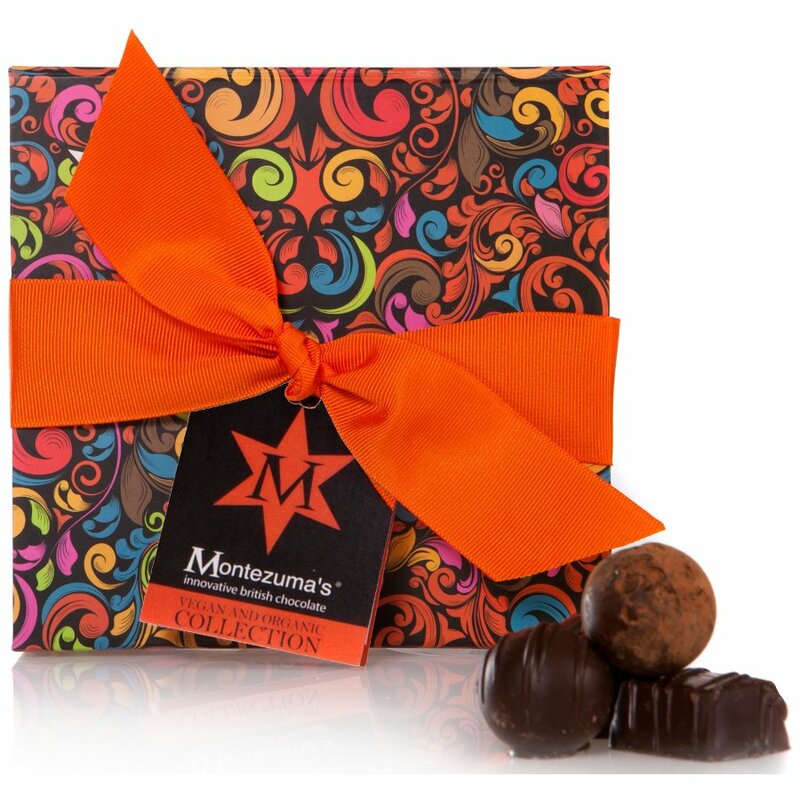 Montezuma’s make deliciously moreish organic chocolate. The company was founded in 2000 when ex-lawyer turned chocolate entrepreneurs, Helen and Simon Pattinson, decided to set up shop in Brighton after an inspirational trip to cocoa growing regions of South America. Montezuma’s ensures that it maintains its consistently high standards by using only the finest ingredients; from the worlds’ best Dominican Republic cocoa beans to high quality dark Madagascan vanilla. Each chocolate bar that we stock is stamped with the Soil Association seal of approval in recognition of their organic credentials.